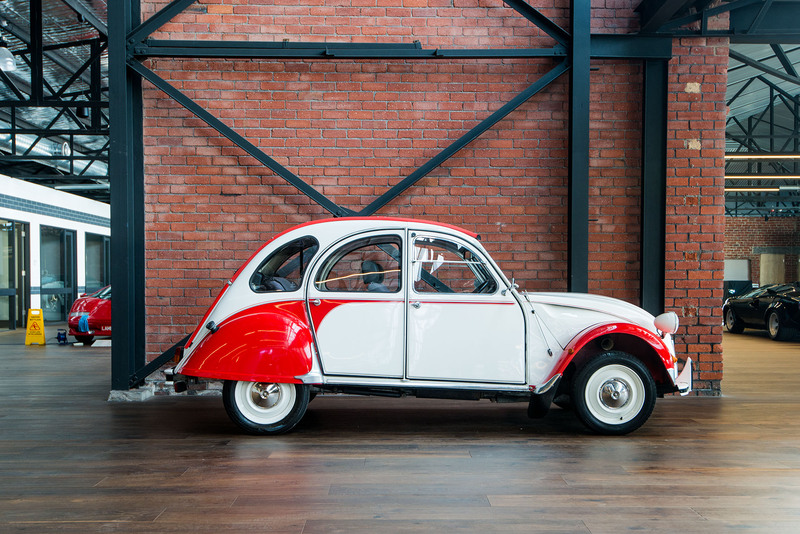 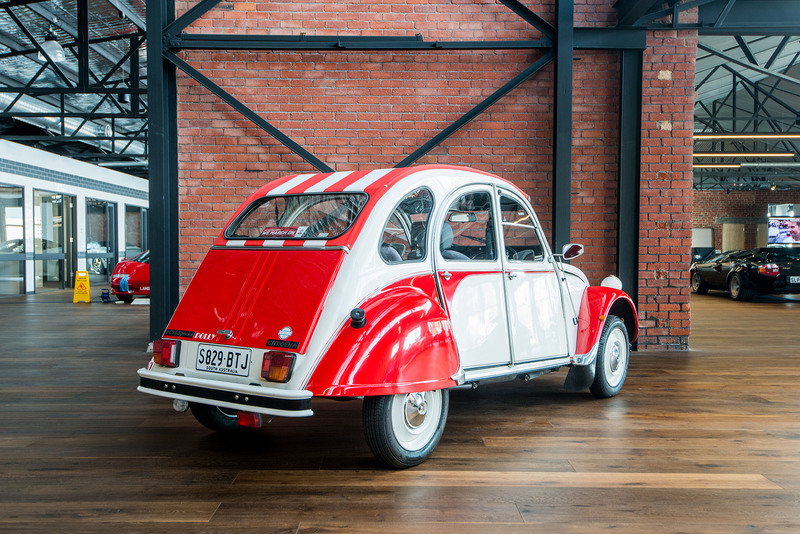 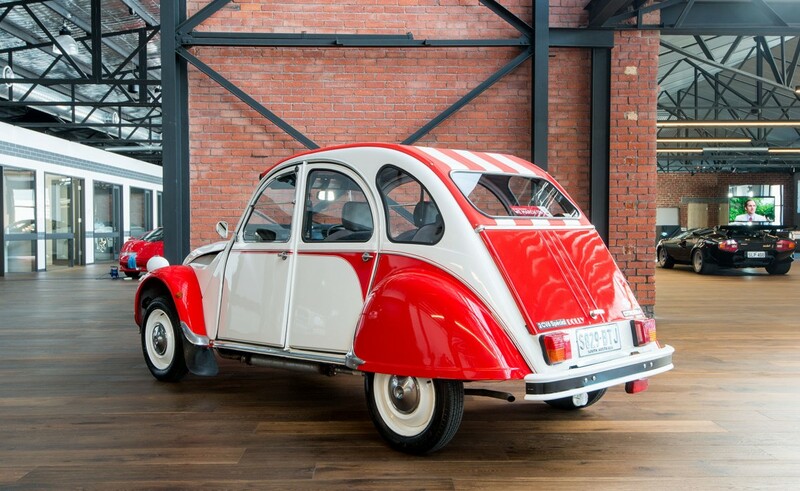 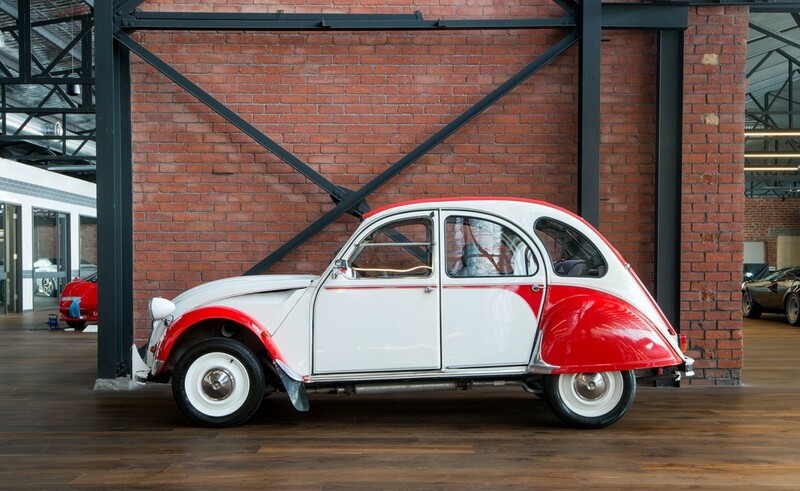 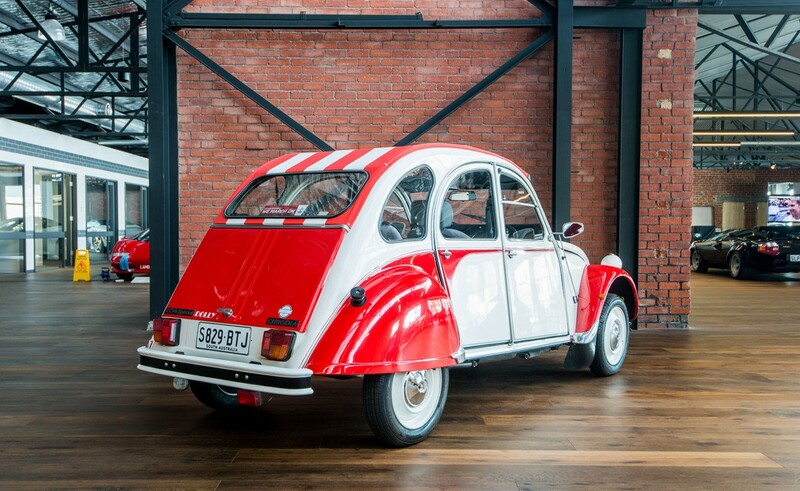 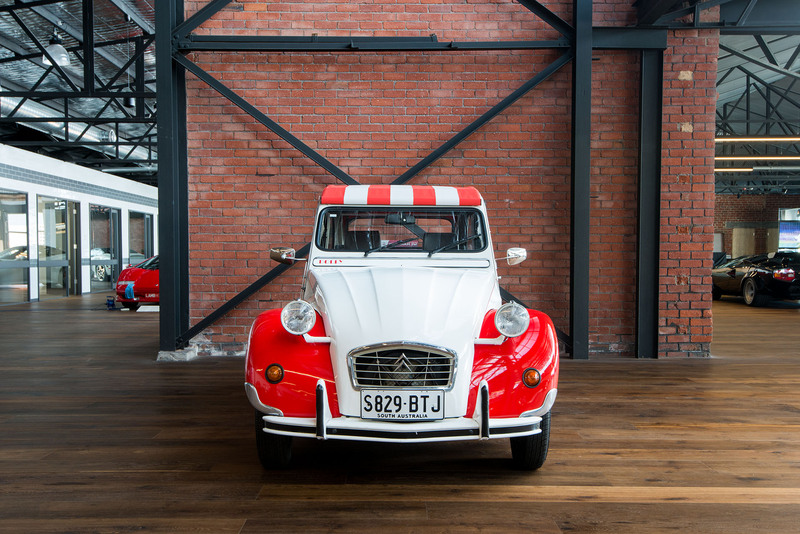 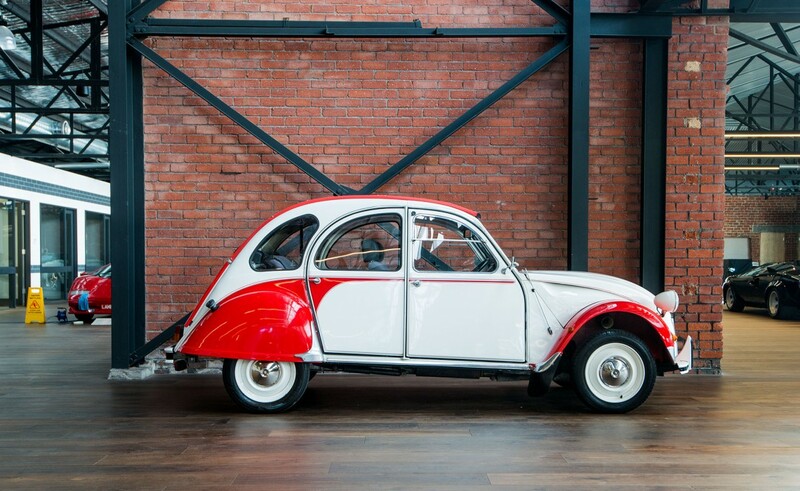 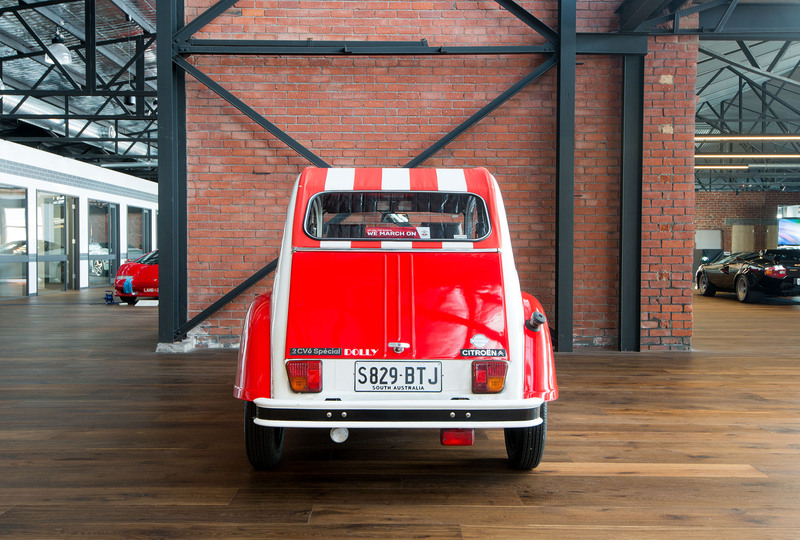 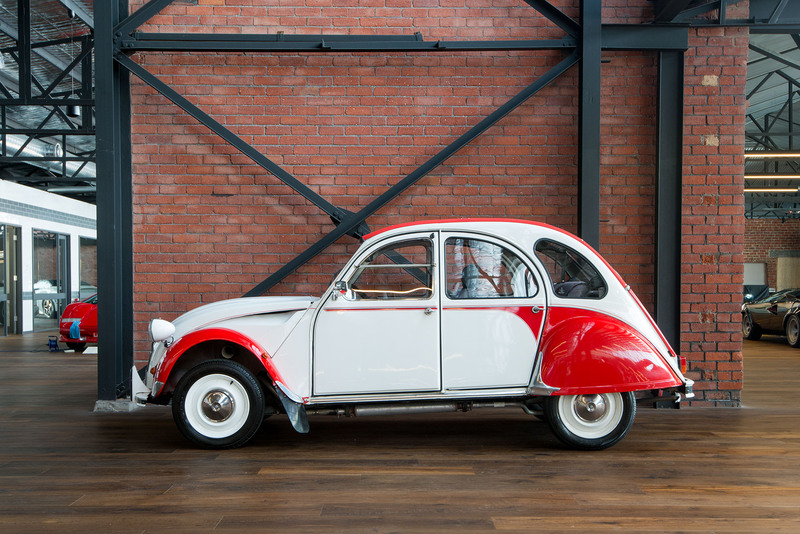 The superb 2CV was sold in many iterations from 1948 - 1990 (about 3.8 million were sold). 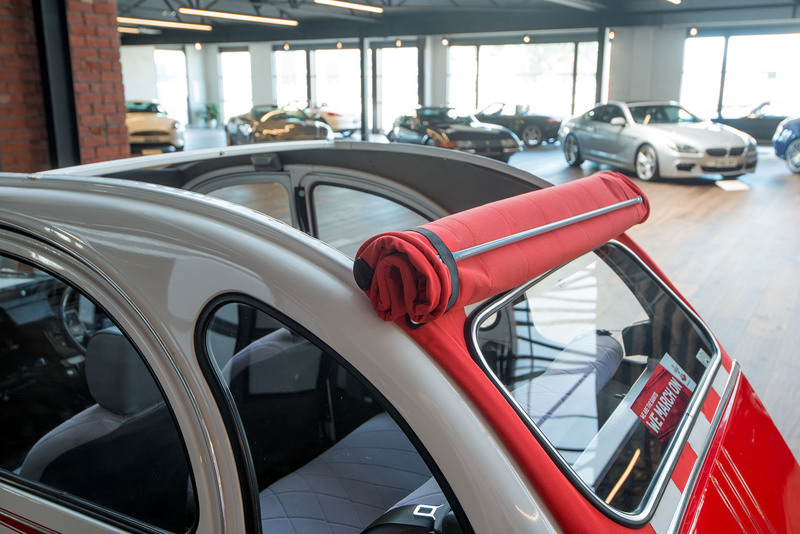 Here is the Speciale / Dolly version which favoured bright colour schemes - this one in red and white. 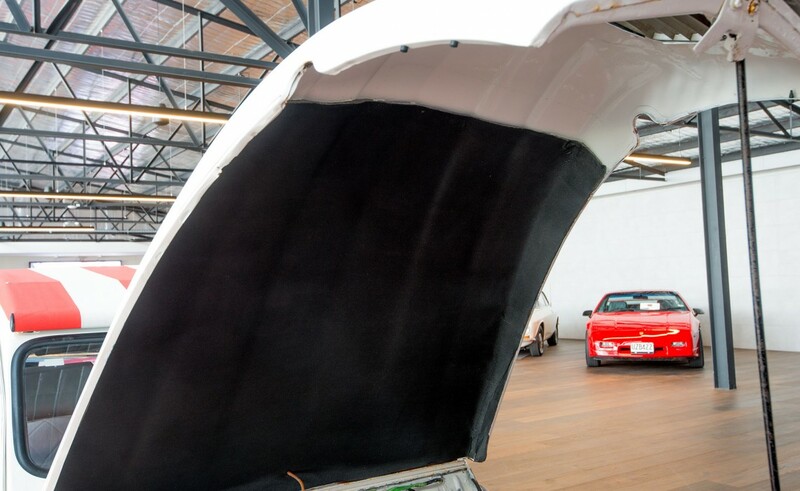 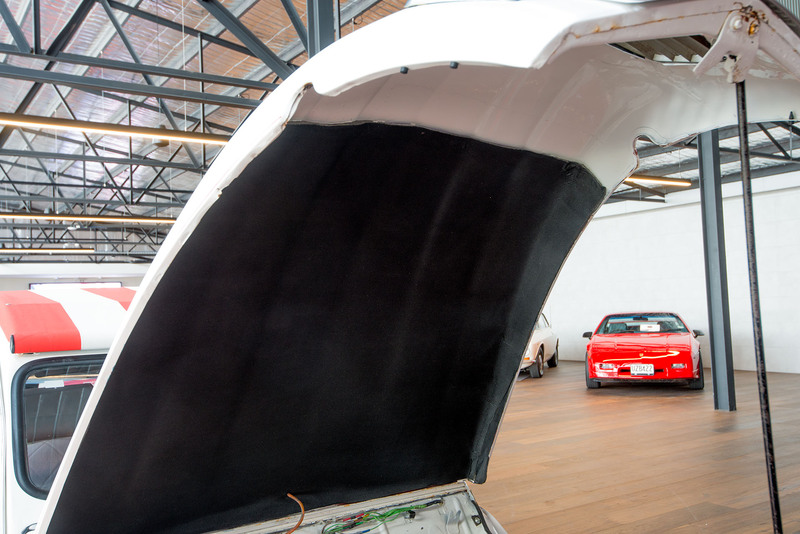 The canvas roof is the quality Matt's Soft Tops version (UK). 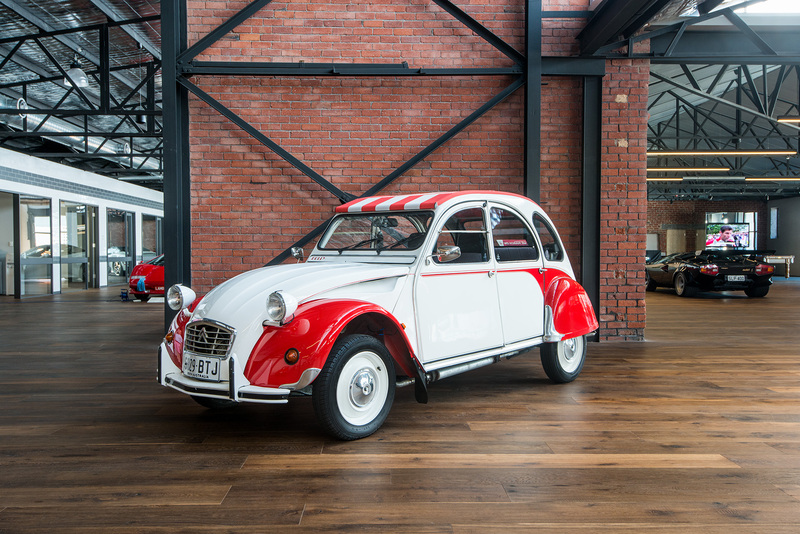 I have fond memories of driving a new 2CV around Europe in 1985 and clearly remember seeing 110 km/h on the speedo one day - and that was downhill with a tail breeze. 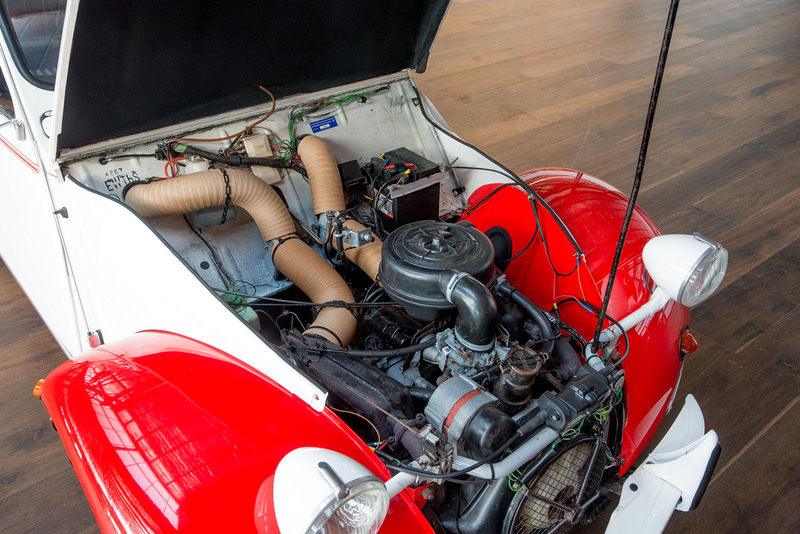 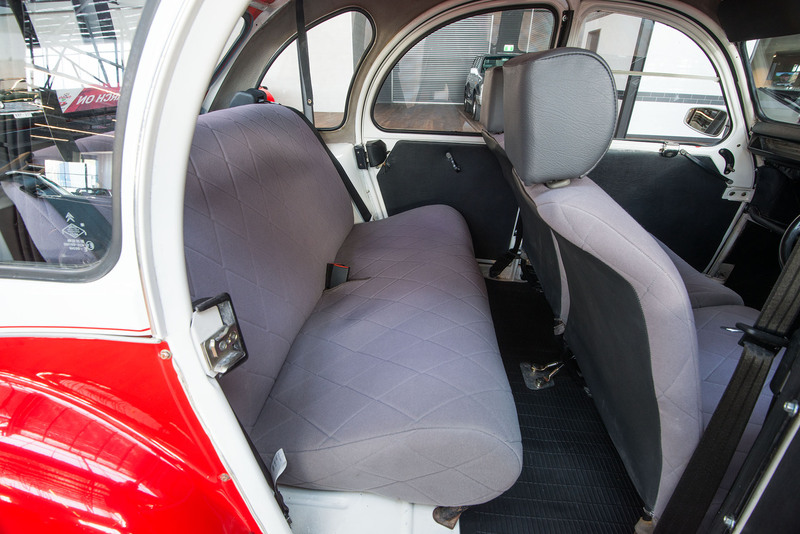 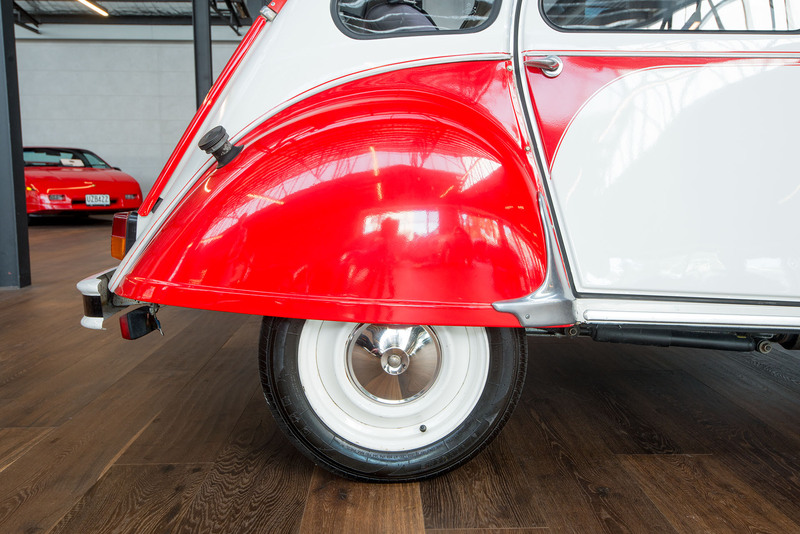 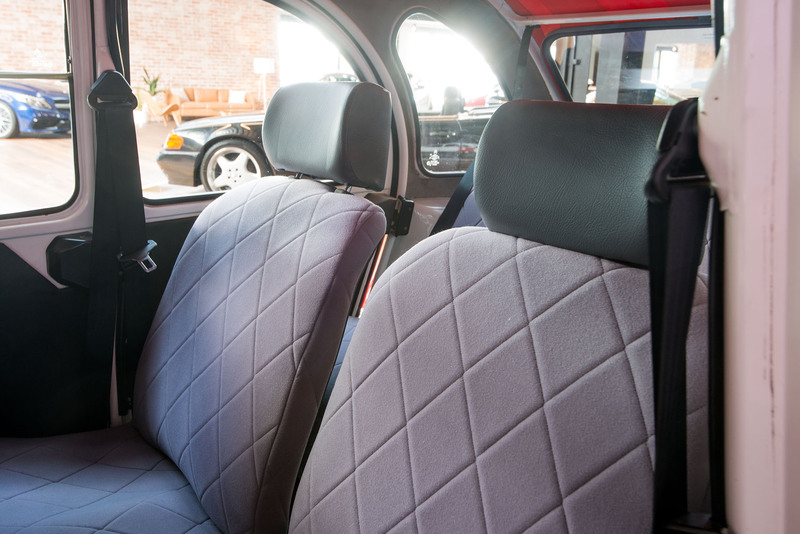 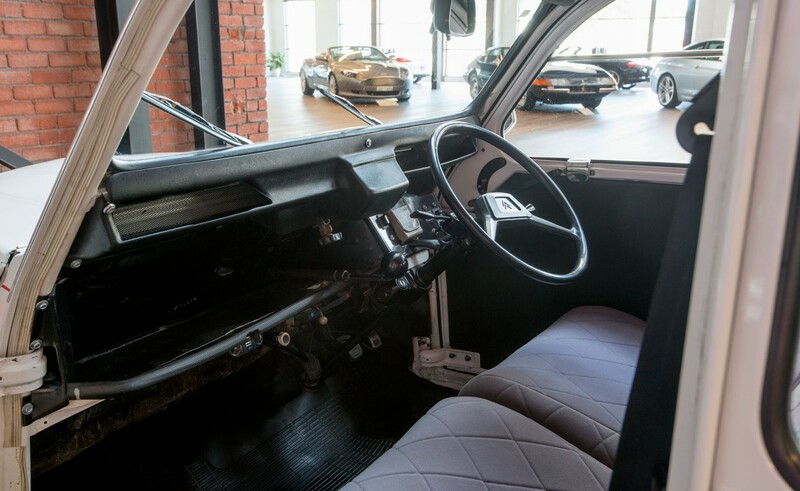 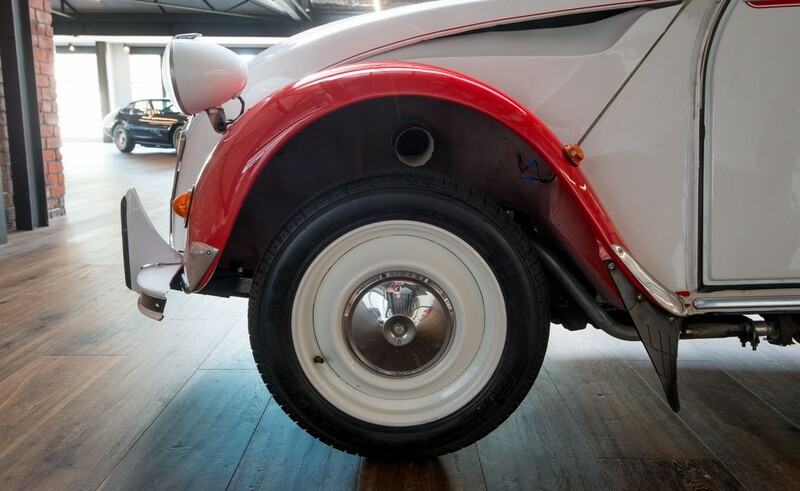 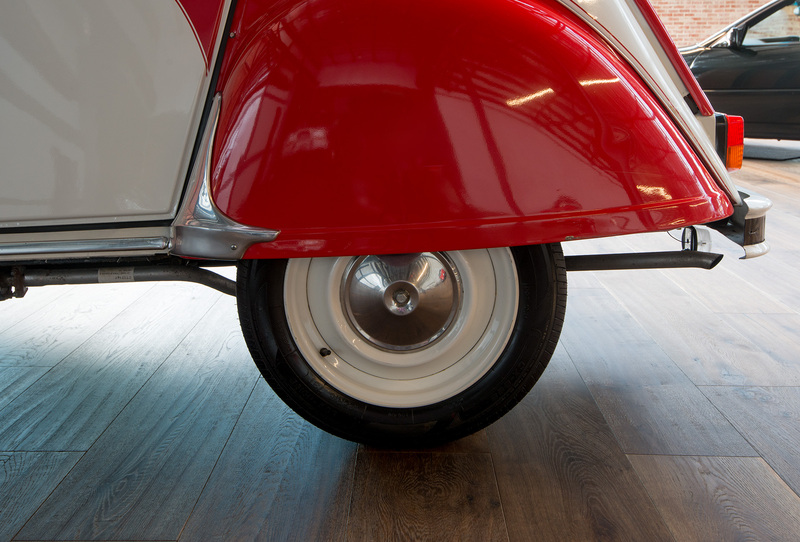 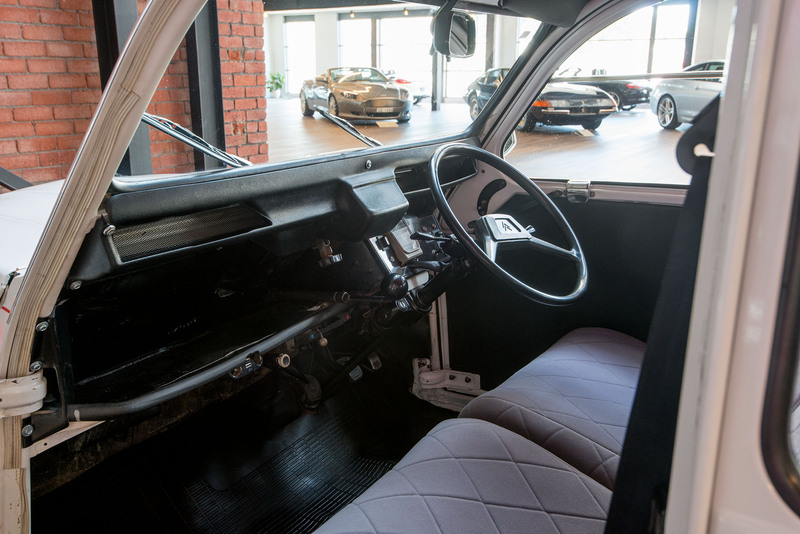 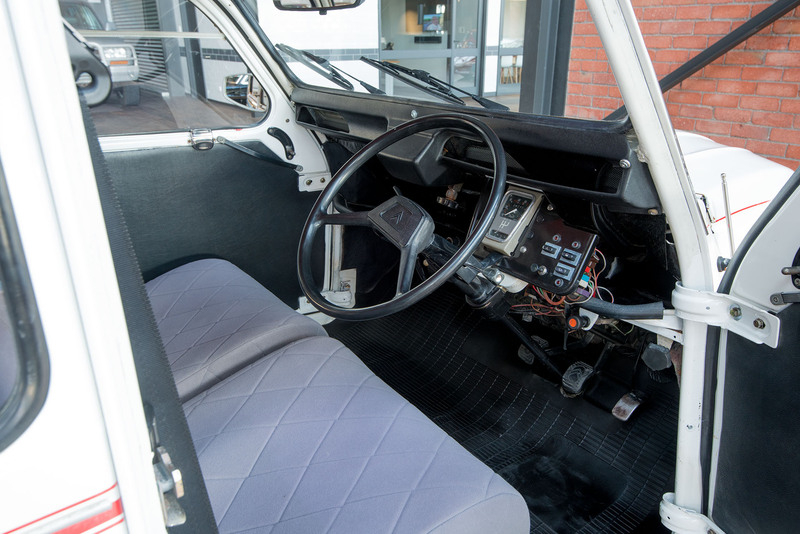 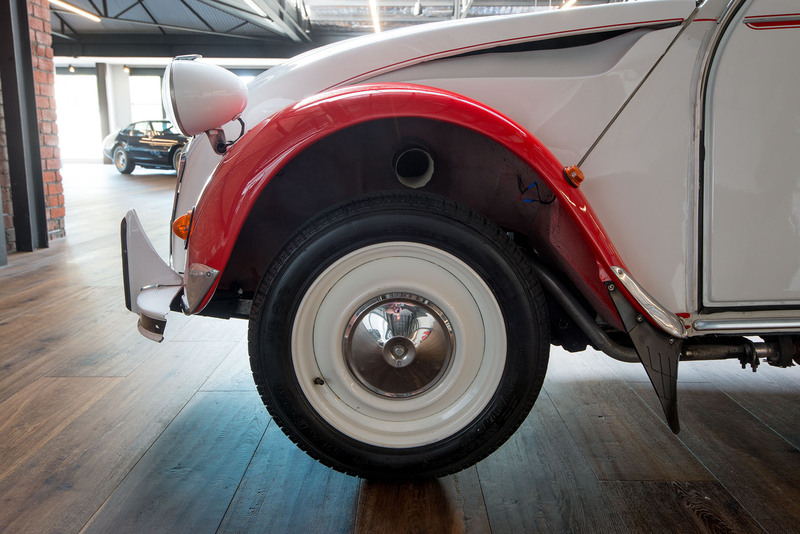 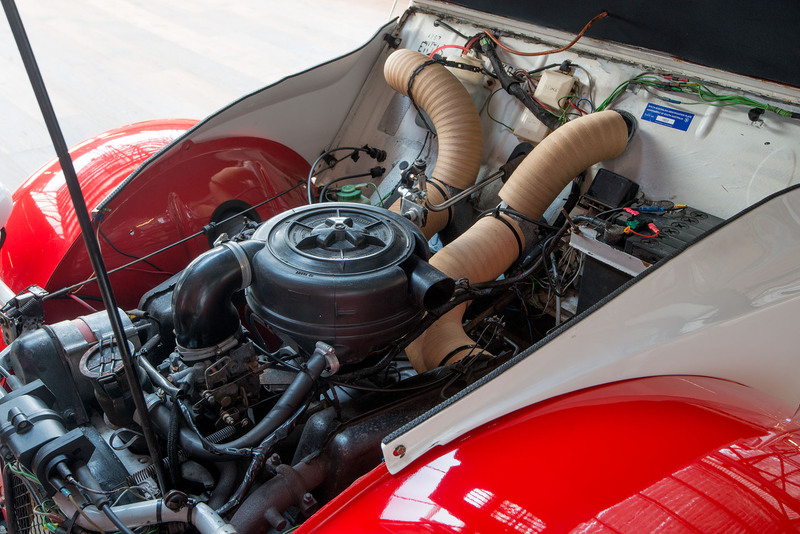 The 2CV's simplicity and lightweight design resulted in a fuel-efficient low-cost car which sold well from the outset. 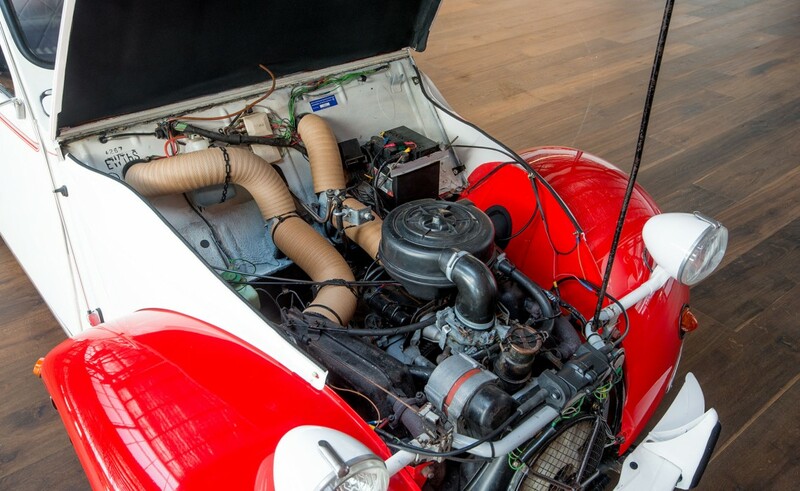 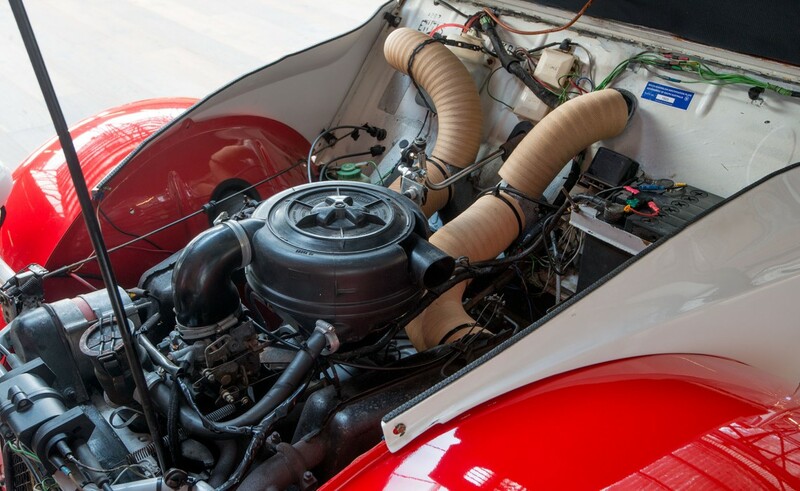 The engine is air-cooled with just 2 cylinders. 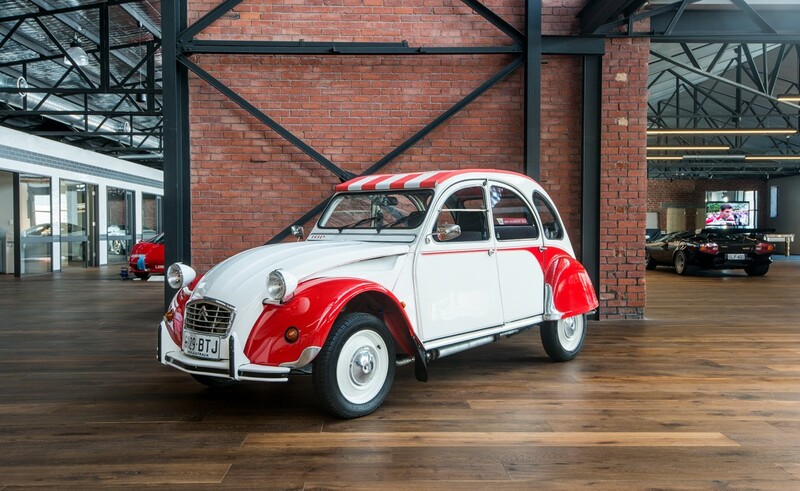 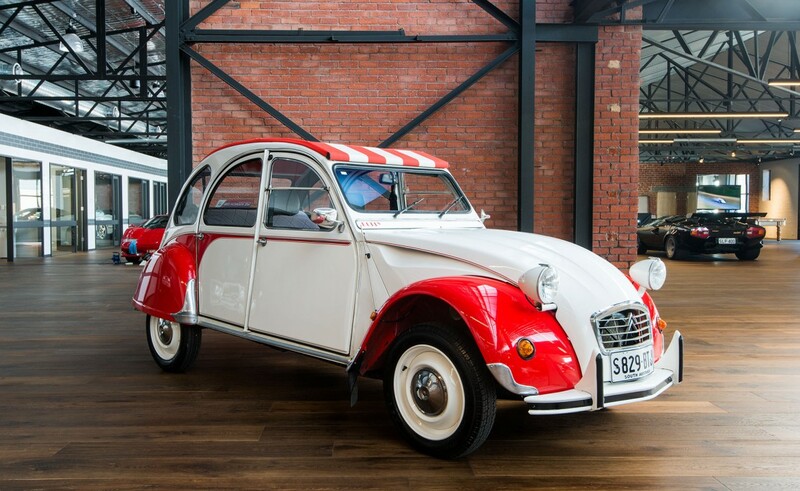 It has a magnificent ride via long suspension travel - Citroen designers were apparently given the brief that this vehicle should be capable of traversing a ploughed field at speed with a basket full of fresh unbroken eggs - Citroen was tempting farmers away from the horse and cart. 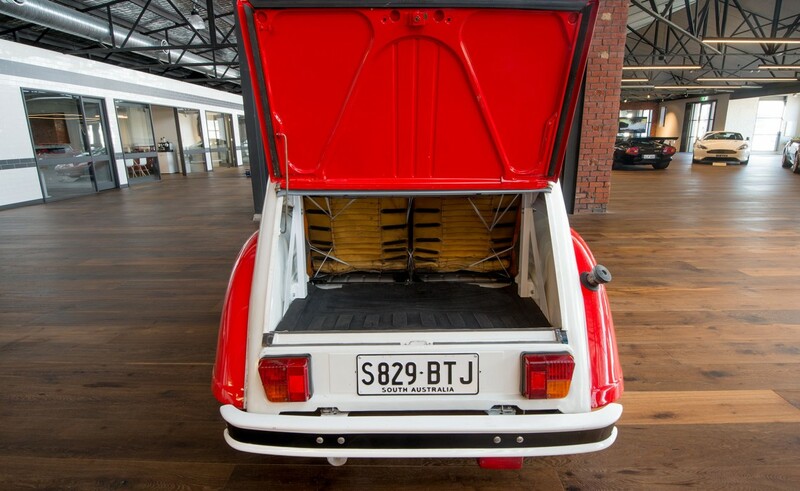 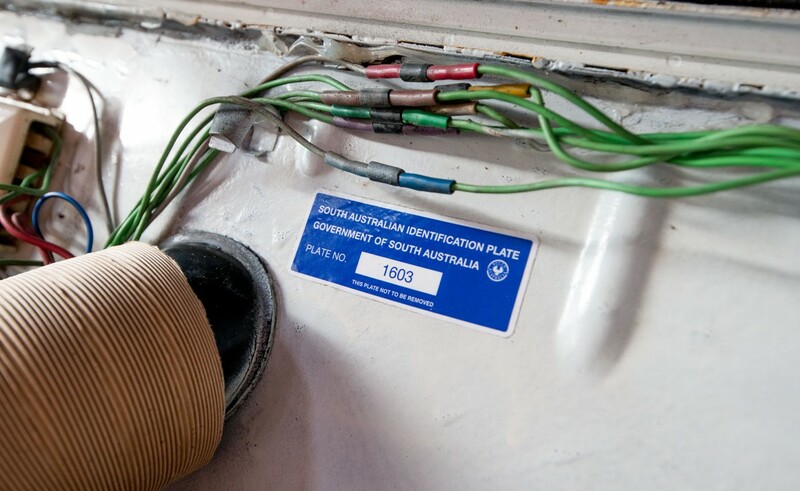 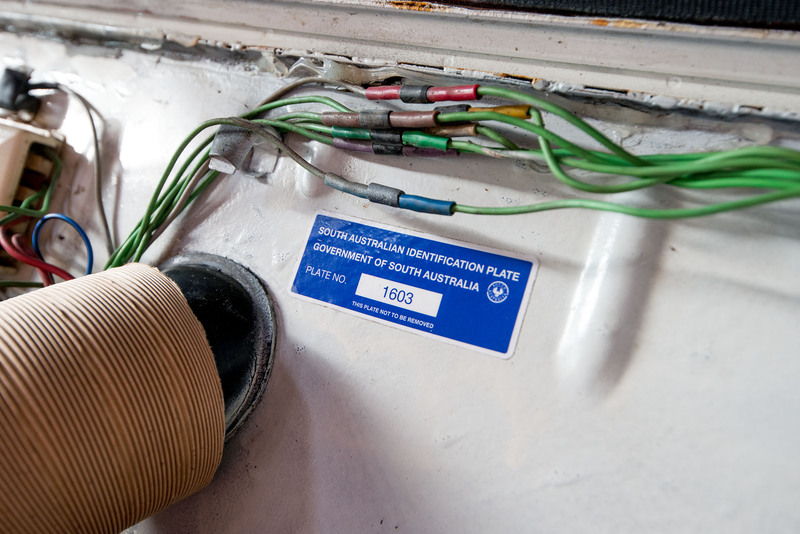 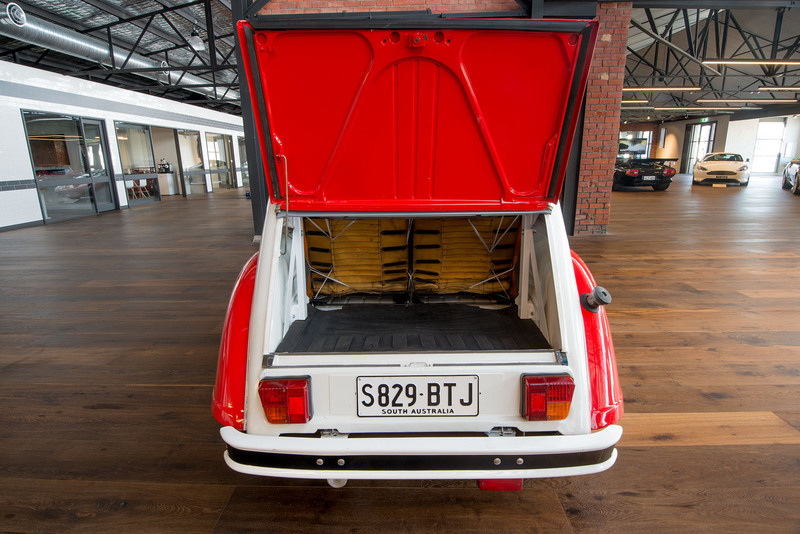 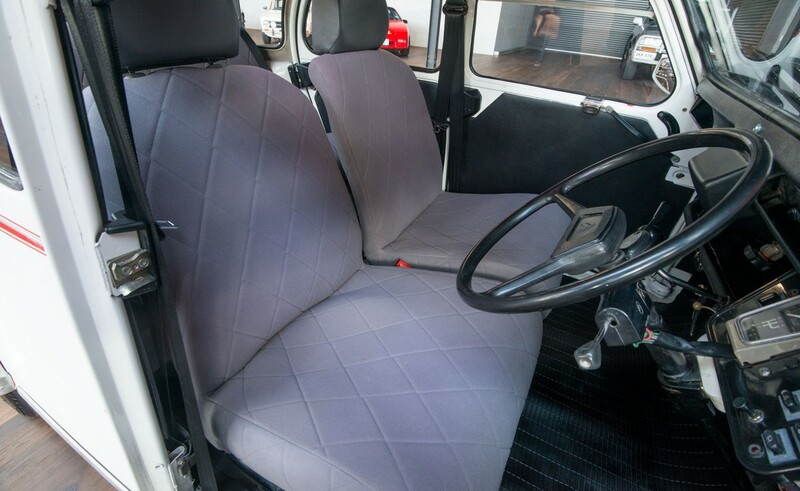 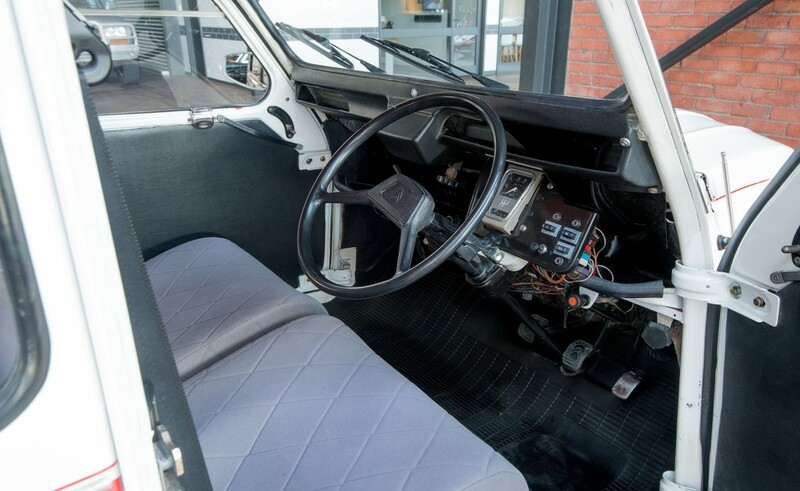 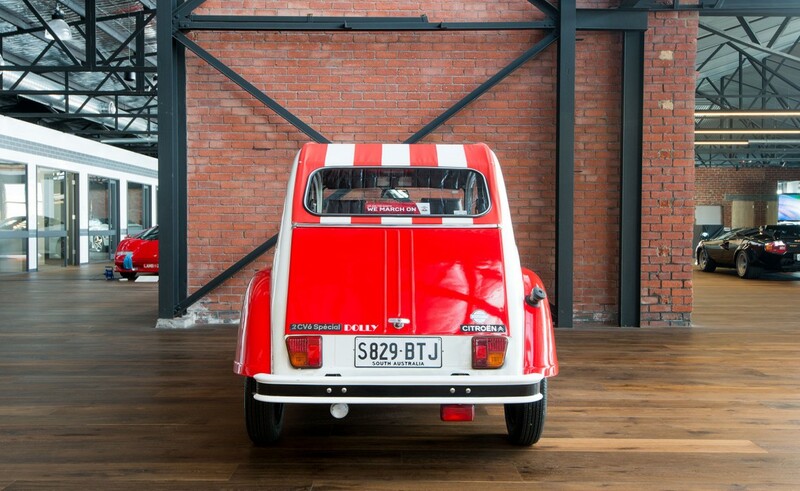 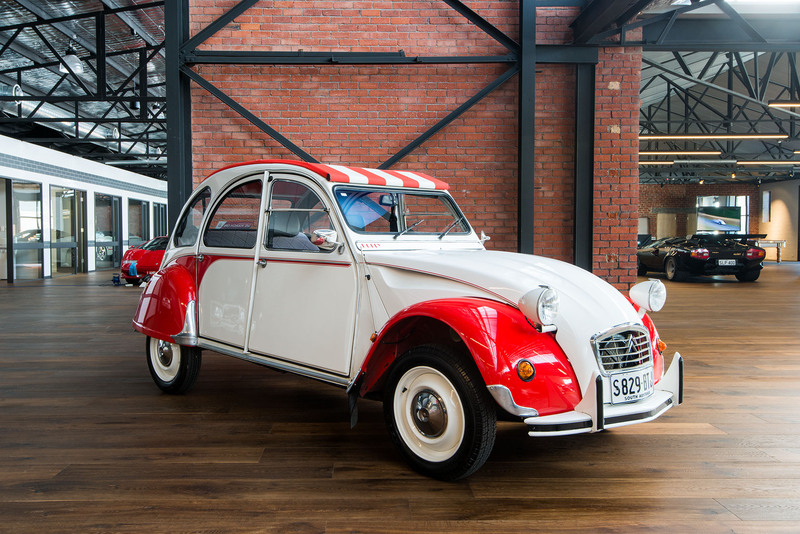 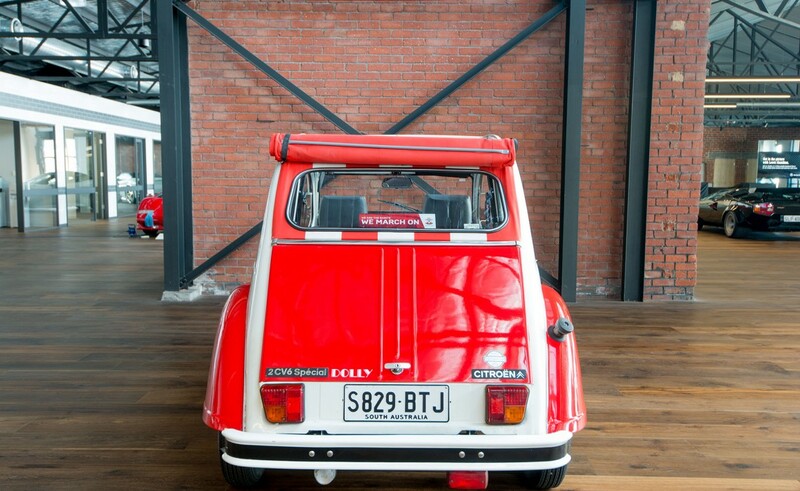 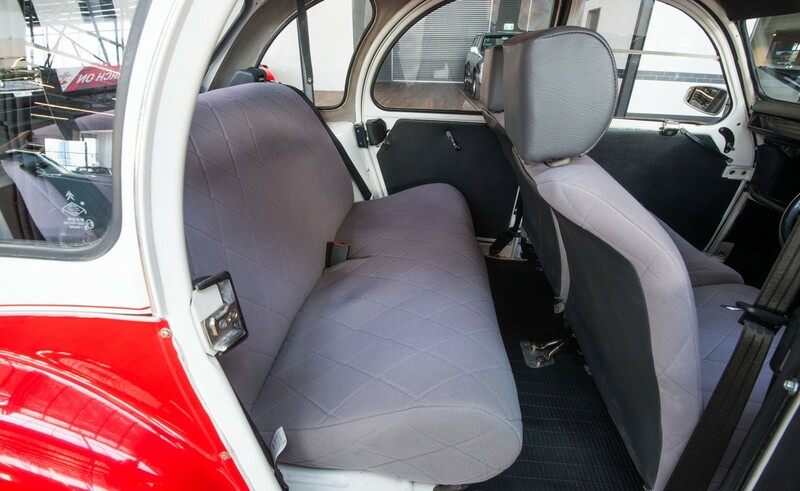 This 2CV is now registered in South Australia having completed the compliance procedure. 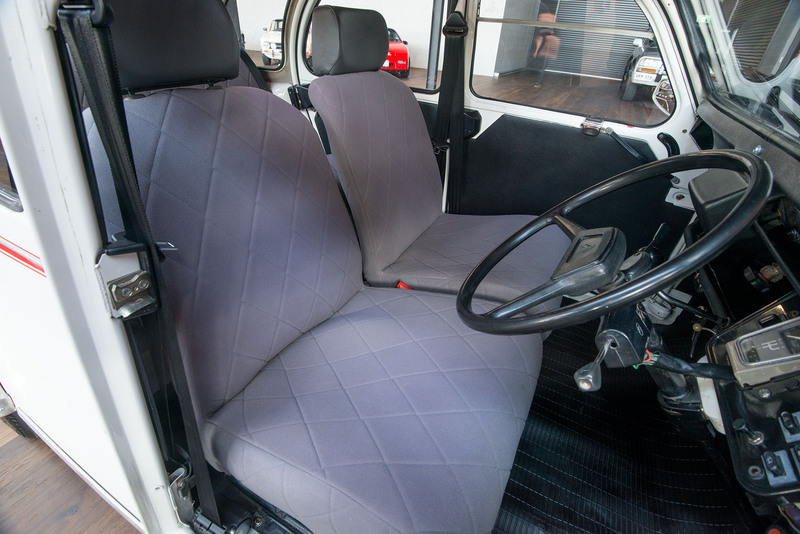 It is ready to go. 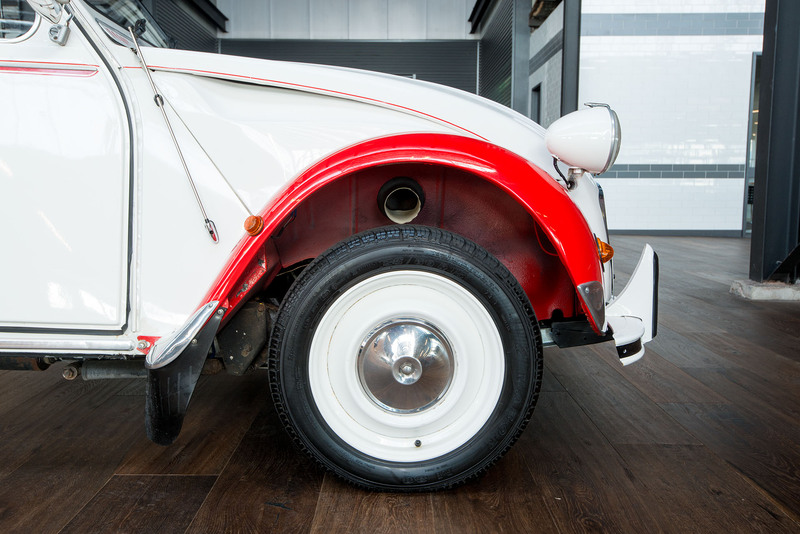 I can see this 2CV Dolly attracting a lot of interest - perhaps as a promotional car for a business. 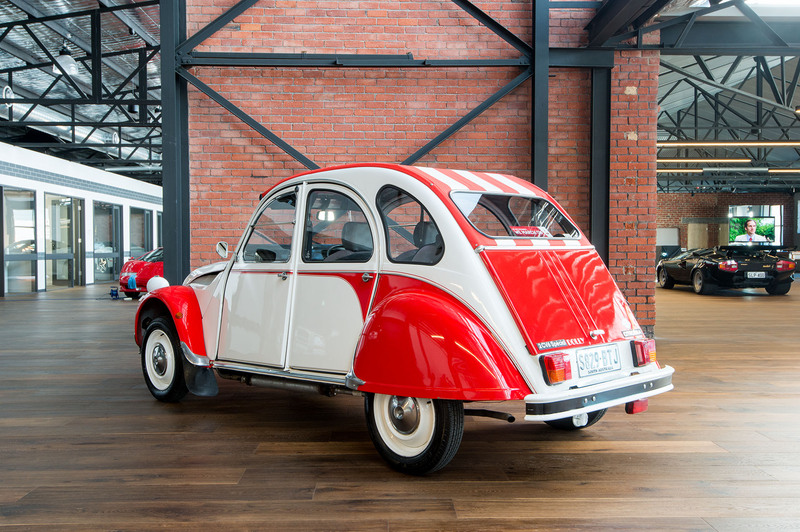 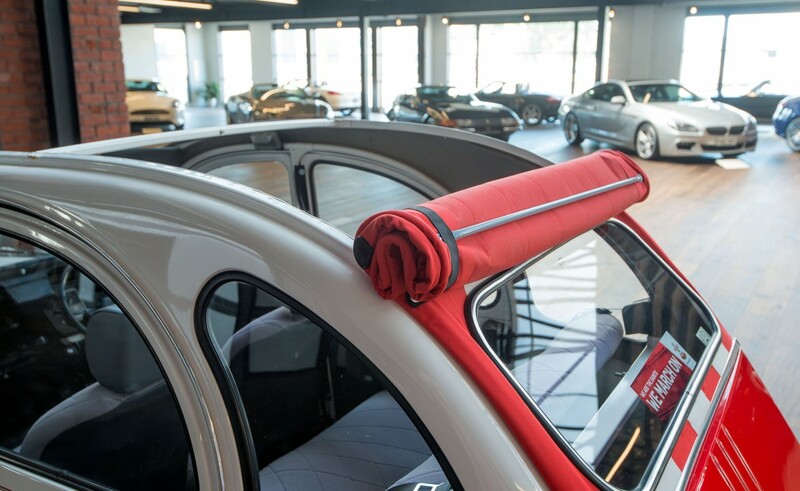 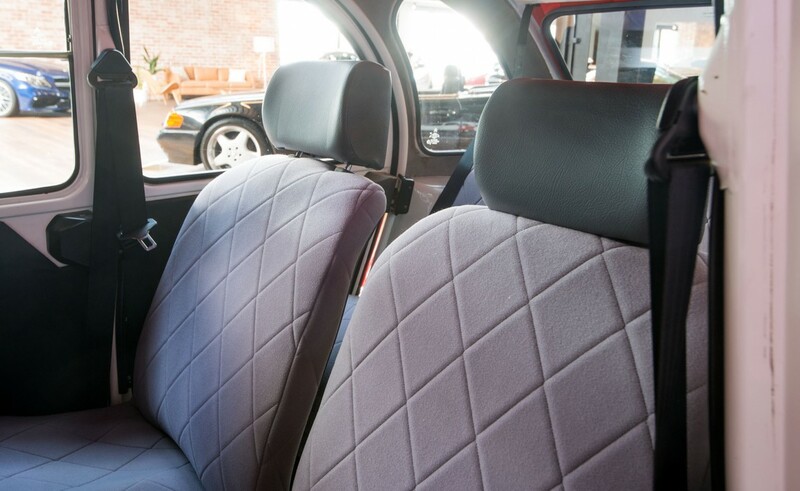 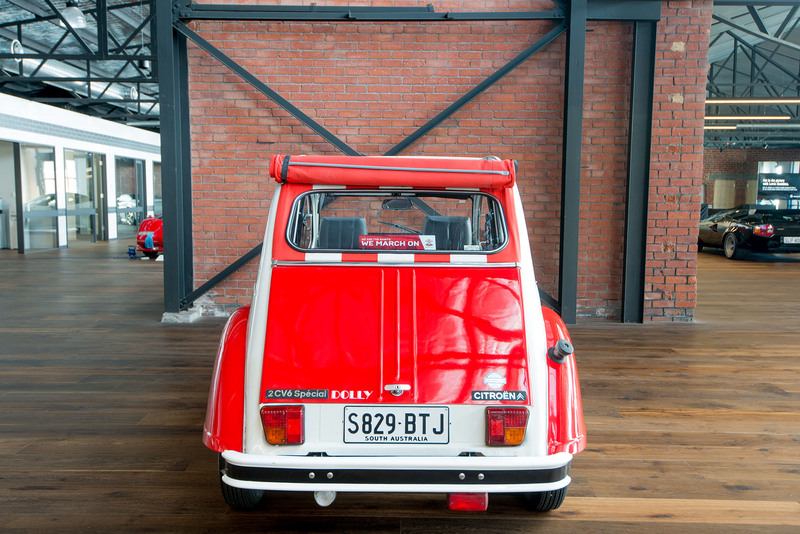 It's an iconic car which is admired on every trip so be prepared to answer questions and engage in conversation wherever you go.